BBQ sauce and seasonings aren't only for summer... we are a family that uses bbq sauce all your long. It's perfect for marinades and dipping, cooking on the grill or baking in the oven! Butch's Smack Your Lips BBQ is delicious. As a matter of fact, my son has named it his favorite BBQ sauce. He has to have it on everything, from hamburgers to steaks to french fries. As a family, we all agree that it's very flavorful. My husband loves to use the rub on our steaks and hamburgers. We have even used it on our baked potatoes - absolutely delicious! Butch's BBQ sauce and seasoning rub are perfect for beef, pork and chicken. Last week we made BBQ pulled pork sandwiches and they were AMAZING! Butch's Smack Your Lips BBQ, will have you smacking your lips and licking your fingers! Trust me! A BBQ gift basket would make the perfect holiday gift for any man on your shopping list! For the past 25 years, Butch Lupinetti and Butch's Smack Your Lips BBQ has traveled all over the US and Canada winning over 500 awards, including KCBS Grand Champion for the State of New Jersey; Best Ribs at the Great American Rib Cook Off in Cleveland, Ohio; Best Ribs at Best In The West Rib Cook Off in Reno, Nevada, the Super Bowl of Rib Competitions; and Best Ribs at the Jack Daniels World Championship Invitational; just to name a few. "Cook it low, cook it slow, serve no swine before its time." 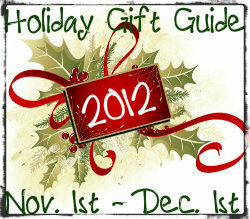 This giveaway will end November 22nd at Midnight EST. 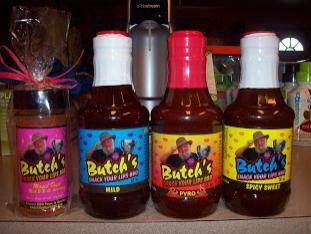 Disclaimer: A special thanks to Butch's BBQ for providing product for this giveaway. Regardless, I only recommend products or services I use personally and/or believe will be a good fit for my readers. The views and opinions expressed on this blog are purely my own. Results may vary. No compensation was received. I would like to try the Spicy Sweet. I'd like to try the super pyro fragilistic habanero pepper sauce! I want the Super Pyro BBQ Sauce . Would love to try the super pyro fragilistic habanero pepper sauce! Thanks! I would love to try the Sweet Spicy BBQ Sauce! I'd love to try the Pyro sauce! I would like to try Mild Barbecue Sauce. spicy sweet sauce sounds good. I'd love to try the spicy sweet. The Spicy sweet sounds like it would be very tasty.